Freedom of expression is fine. But that doesn’t mean that one can go to the extent of defaming Kaju Katlis on social media on the auspicious occasion of Diwali, setting fire to our fond childhood memories (just because you can’t burst crackers). This is like saying that the new note of Rs 500 looks better than both the old one and Aishwarya Rai! Can there be any comparison? Also between kaju katli and soan papdi (which was like Buy 1, Get 5 Free)? The debate sparked off over a meme on Twitter, which, on a lighter note, attempted to introduce a subtle 'caste system' among sweets. But as a nation warring over the West Bengal rosogolla vs Odisha rosogolla, Karnataka Mysore Pak vs Tamil Nadu Mysore Pak, and so on, the little insinuation was not just a ‘sweet nothing’. It was a personal attack on each and every ‘sweet Indian’. How can you confer on besan laddoo ‘Brahmin prestige’, while rosogolla and kala jamun are somewhere in the middle, in the same rank as soan papdi is, while kaju katli, lovingly known as kaju barfi, is at the lowest rung along with sandesh? Then, there were actual people (not bot accounts) who were badmouthing kaju katli, saying that it has always been overrated, it tastes like rubber, chalk powder, etc. The war was inevitable because we could read between the lines of the 'caste system' — we could see the regional bias — though we have enough pity for you people, as you clearly must have tasted enough chalk powder in your life to jump into this conclusion. Having been born in the rosogolla and sandesh belt, I never held sweets other than the milk-based ones in high esteem ever. But kaju katli was one of the exceptions. If rosogolla and gulab jamun were just everyday sweets, getting a box of kaju katli was no mean feat — one had to score really well in the school annual examinations. Then we all grew up, letting go of those memories. But to see this day — when our kaju katli ranks lower than soan papdi?! 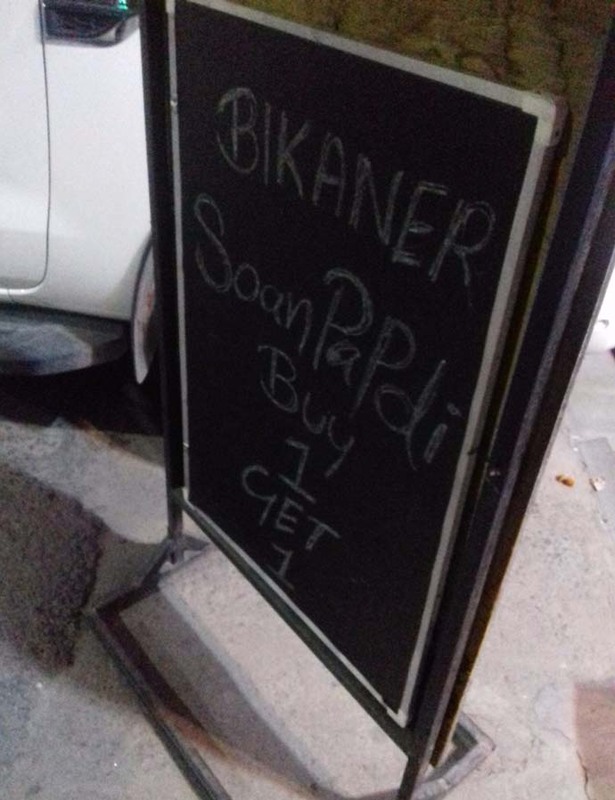 Logically speaking, what’s there in soan papdis? Maybe more besan, some ghee and a shower of sugar. Does it melt in your mouth, like a piece of kaju katli? No — it just gives up as soon as it enters the mouth. As flaky, as brittle and as pointless as it looks. On the other hand, kaju katli has been providing us with all the goodness of cashews long before munching on a handful of cashews (not salted) became a fashionable evening snack. However, the debate, bitter though it was, did one good thing. It made Twitter a more sorted place. People who love kaju katli, people who hate kaju katli. And people who have never had the privilege of having shahi tukda.